The body’s immune system is particularly and highly important at strengthening the ability of the human resistance to diseases caused by viruses, bacteria, fungi, worms and parasites, as well as playing a very important role in helping the body to stand the effects of adverse environmental factors with its different kinds of physical, chemical, social, and environmental pollution, pressure and tension of everyday life and others. It is known that the majority of diseases, other than injuries and self-harm, are caused by the effects of microbes and environmental factors. Therefore, man’s striving to raise the efficiency of this sensitive system keeping the ability of the human body at its maximum to carry out the requirements and burdens of the life. It is also key to protecting the body from disease, otherwise, the microbial diseases queuing on the body to ravage at his strength and safety of its organs. The more of the substances that our body needs we have, the healthier our body is and the better is functioning. 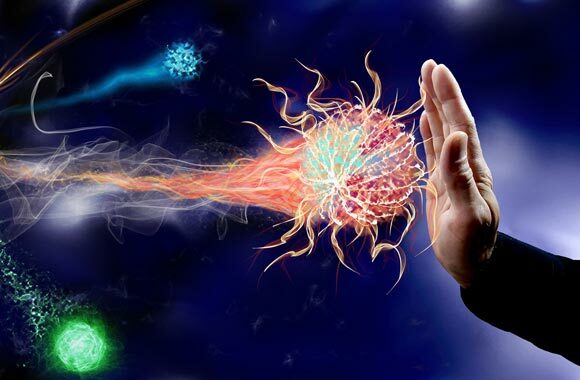 The better our body and brain are functioning the better our immunity system can fight against diseases and infections. We need a lot of vitamins, minerals, and other nutrients and it’s hard to get all these from foods. This would mean to eat all the time very diversified meals. The great thing is science made important progress in developing natural food supplements which can provide all these nutrients to our body. And one of us should ask: Is there a way that can be followed to raise the ability of the body’s immune system, and to maintain a high level of these capabilities? The answer is: Yes, there are several things you can do to raise those capabilities that enable the body’s immune system to serve the body and maintaining it, and the issue here does not start going to the doctors and does not include buying medicines from pharmacies, but starts from the way you used to live your normal day. By reviewing a group of medical publications, we can summarize a few elements that help strengthen the immune system. Enough sleep at night, that the person who sleeps between seven to eight hours a night, can find it very useful to control the work of organs in his body, and studies that dealt with the importance of nocturnal sleep, and for enough of it, demonstrated the feasibility of that in raising the body’s immunity and reducing the incidence of chronic diseases, diseases such as cardiovascular, diabetes, obesity, asthma and other, and medical sources indicate that the comparative studies demonstrated that the nocturnal sleep contributes at reducing the possibility of having colds and other viral and bacterial diseases, and speed up treatment, and raising the strength of the body’s response to the types of vaccines for infectious diseases. Thus the first important element to take care of just like exercise and sport and eat healthy food is giving the body enough sleep at night. Refrain from smoking. When a person smokes, he exposes his body to more than 4000 chemical compounds, 60 of which is known as one of the diseases may cause cancer, and it goes without saying that smoking raises the risk of respiratory disease, in both its infectious and non-infectious sides, and it also affects the body’s immune cells circulating particularly on the respiratory membranes, from the nose to the lung, it is also known that one of the functions of these cells is to observe and resist the microbes that may enter through this port to the body, and medical sources indicate that the improvement at the activity and efficiency of the body’s immune system begins a month after smoking cessation. How To Use Nutrition Supplements Wisely?